Making your way in the world today, takes everything you got. Taking a break from all your worries, sure can help a lot. Wouldn't you like to get away? Some times you'd want to go, to an indie comic that knows your name! Dum-dum-dum-dum! Where everybody's glad you came. Especially -- both you and me -- plus by very good-buddy Dave. Who I interviewed -- within the confines -- of the bat-cave. 1) What are your own origins, Dave? Plus what path did you take in life prior to getting to where you are today? My professional background is in journalism, writing for newspapers, websites, and television news in almost every aspect imaginable (from running the newsroom operations, to writing scripts, to reporting and anchoring). My initial major in college, though, was film and screenwriting and I had written and directed some fun, but not so noteworthy indie films, as a way to get out my creative itch during those college years. So, I really think all that, plus a love of READING comics since the tender age of five or six, just sort of naturally evolved into a desire to create and write them as I got older. 2) How did ‘Holidaze’ come about? It’s ‘secret origin’ so to speak. Holidaze has been a long time in the making, somewhere between 2000 and 2002, in fact, just not in its current form. It initially was going to be a short film back in those college filmmaking days. I was in the car with one of my film collaborators at the time on a very snowy drive and I just wouldn't shut up about this idea as it was coming to me. Even the name for the series and the bar within it came about then -- Holidaze. Years later, in 2011 or 2012, Andrew Cieslinski and I had been chatting and he was looking for a project to sink his incredible art skills into, whilst I was looking for a creative outlet to help me with the stifling effects of the newsroom at the time. We had some coffee, pitched a few ideas back and forth, and one of those ideas was Holidaze. We both really felt like there could be something in that one, and we started fleshing out the original character ideas, he came up with some awesome designs for the characters and then we just got to it. 3) In your own words how would you describe this story? Well, each issue is a “done in one,” which is something that I miss about the comics from when I was growing up. You could pick up a book, read an issue, and enjoy it as it is without it being thrown into the middle of a ten or twelve issue story-line. There’s not a lot of those out there, so that’s what we really strive for with the book -- off the wall, ridiculous fun that you can enjoy at any issue. You don’t need to read what’s come before. You know who these characters are already and can just jump in and have a good time with our take on them. As for the story in itself, it’s just the simple concept that we've always looked at the likes of Santa, Cupid, the Tooth Fairy, etc through a child’s eyes. When you’re a kid, a lot of people, be they Santa, a police officer, a parent, or any grown up, has a certain aura of perfection and idealism surrounding them. What Holidaze is, is the off-the-clock look at these guys. When they’re not working their holiday, they’re adults, they have flaws, they have issues -- major issues. And with so much time off the rest of the year, you’d think they’d maybe get some help for those issues, but no. They spend most of their time commiserating with each other and drinking their cares away at this bar, which only leads to more issues and troubles. 4) What song would you say best represents this project and why? If I’m being honest, it’s the theme song to “Cheers.” All along that’s what Andy and I kept referring to the series as, “Cheers with holiday characters”. It might sound a little ridiculous, but just replaying those lyrics in my head, it’s perfect for what the series is all about. 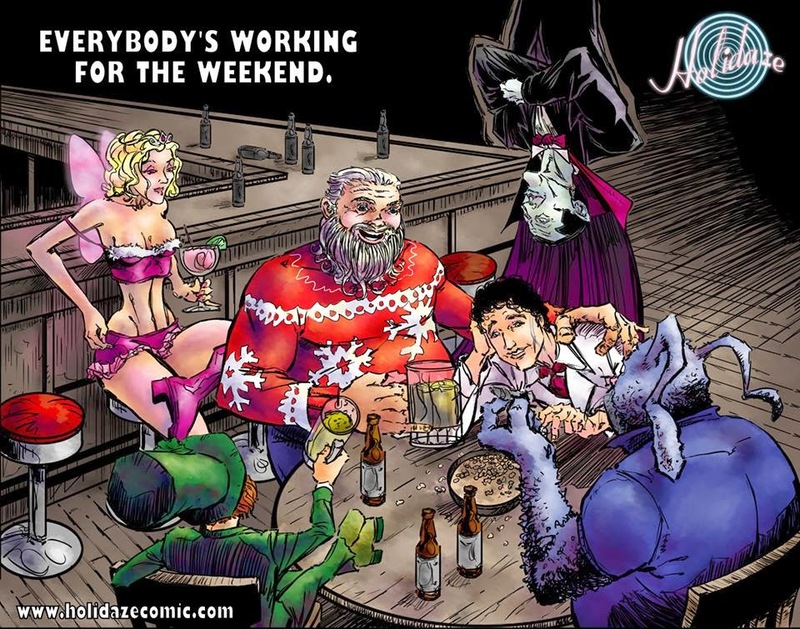 Just throw Santa, St. Patty, and their ilk in the mix with some non-holiday mythical icons, and you've got our favorite watering hole. 5) If you could get a celebrity – either living or dead – to promote your wares, who would you choose, and why would you want to choose this particular person? 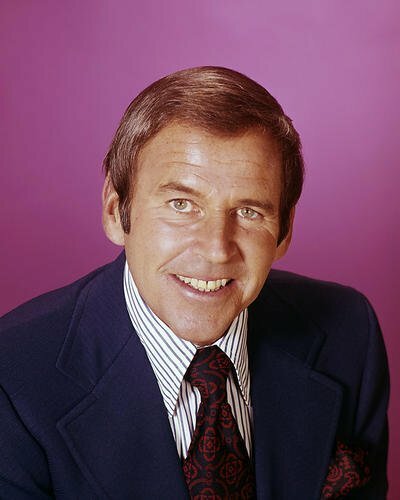 Paul Lynde. For those reading this who may be too young or didn’t catch up on the glory that is 1960s television via 'Nick at Nite', he was known for his role as Uncle Arthur on Bewitched and for some truly off-color zingers on Hollywood Squares. I mean, come on. If you've got Cupid, Santa, and the Tooth Fairy sitting at the bar drinking, that’s just the perfect setup for a Paul Lynde joke. 6) What have you learnt about yourself through this endeavour? And were their any unforeseen obstacles you had to contend with along the way? I think we've really learned a lot, just in the first few issues, about the importance of character development and letting the characterization drive the story. When we did the initial story, it was all just playing the images of these holiday characters to extreme adult situations. It’s funny for a one shot, but it’s not necessarily sustainable like that. So, we quickly started learning how important it was to give each character a voice, quirks, and let the way they interact be what pushes things along. I think that really shows in some of the upcoming stories we haven’t published just yet, but are currently in production. With that in mind, we’re just really proud of being able to take that initial one-off joke and really create characters that are fun, likable, and develop along the way. The best is yet to come, as they say. 7) During your time in this field, what is the one thing that has kept you in good stead? I hope it’s the sense of pure weirdness and fun that we have on this series. That is what’s so wonderful about being an indie book -- you aren't adhering to level upon level of people in a company weighing in and making decisions. It’s really just creator-driven. We have such a ball coming up with these ideas and both Andrew and I really want people to get that sense when they read it. Our favorite kind of comics are the kind that just give you the sense of fun you had when you picked up a comic at age 12. We really want to make something that others have a ball being a part of. 8) If ‘Holidaze’ had a motto, what would it be? I think, when it comes to making the book, our unsaid motto is ‘it’s never too weird, but it’s always gotta be fun'. So there you have it, dear reader. 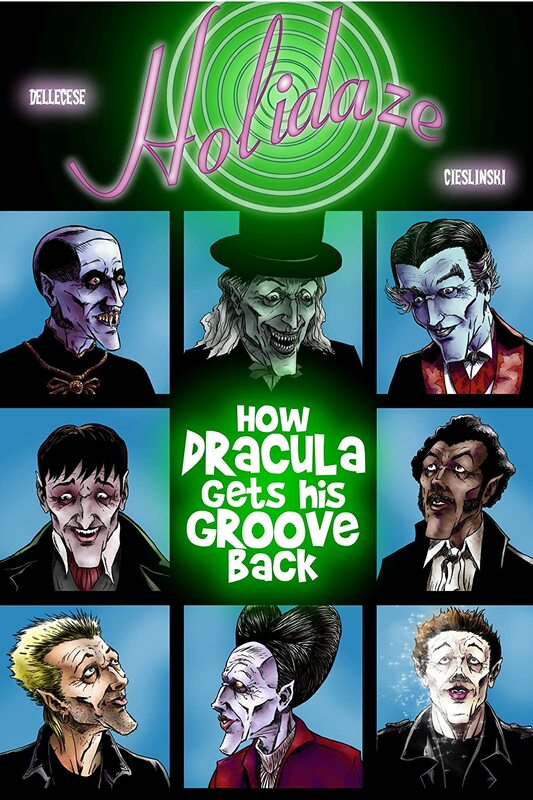 My mate Dave and his great indie comic, 'Holidaze'. I'm sure that when you have the time you'll click on over to his website, facebook, and twitter pages. Go on. Cause he does know you name, you know.